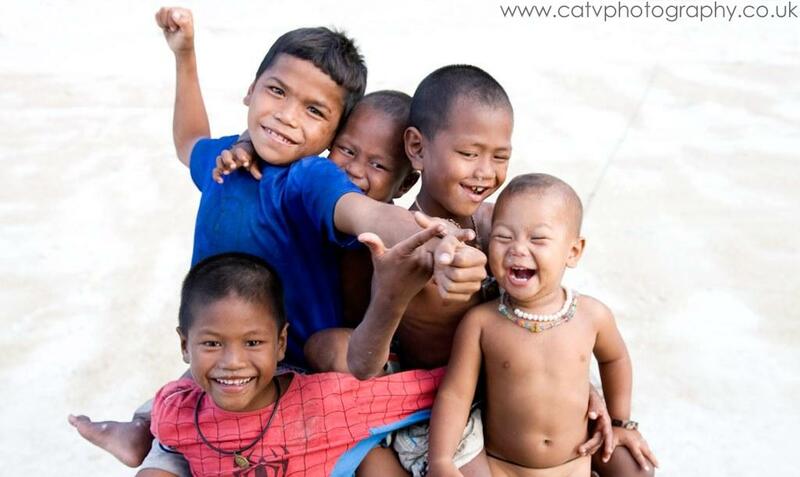 The group of people referred to as “Moken” are actually three distinct tribes living along the Andaman Coast of Burma and Thailand – the Moken of the Mergui archipelago, the Moklen of Phang Nga province, and the Urak Lawoi living from Phuket southward to Satun. With Austronesian roots, their language, culture and lifestyle are unique, and they have a history of peaceful coexistence with mainland neighbors. 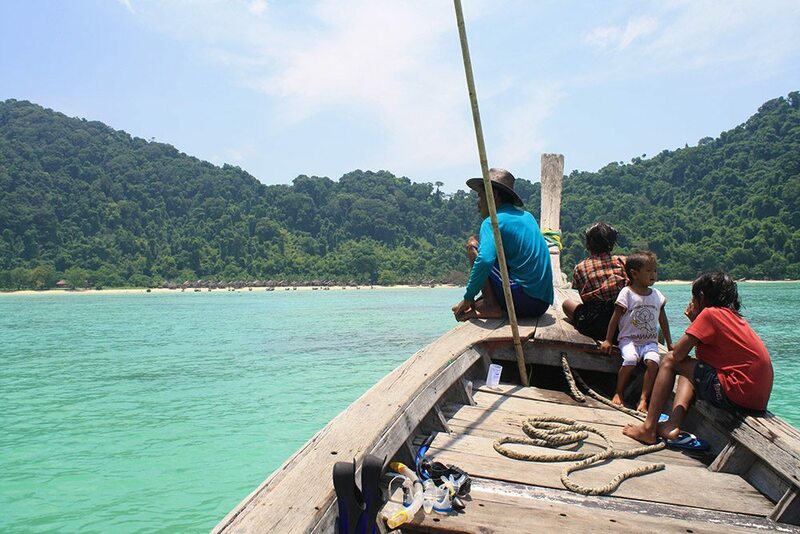 The Moken, proper, have a long history of living in the Mergui archipelago between Burma and the islands of Thailand’s North Andaman coast. 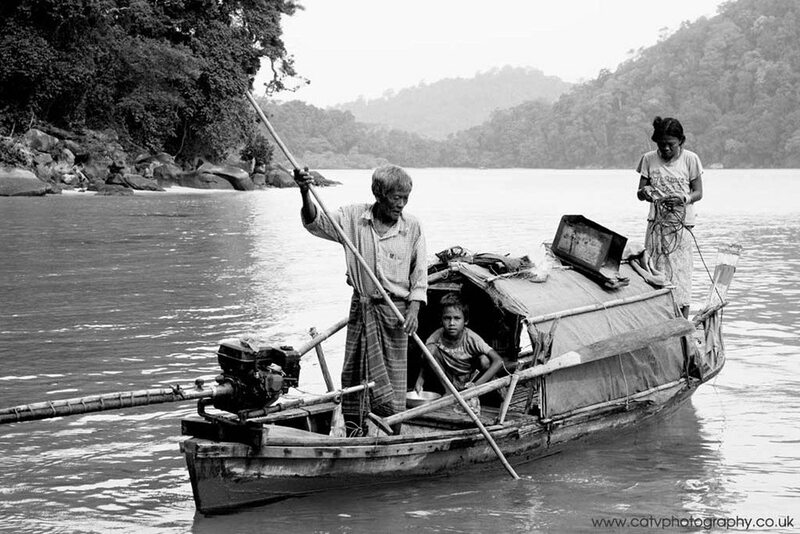 As sea nomads, the Moken used to spend most of their lives on traditional houseboats known as Kabang, moving from bay to bay depending on the wind and weather. During the monsoon rains, families would come together and build temporary villages on protected beaches. 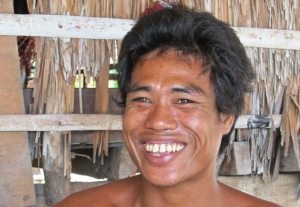 The Moken do not have a written language and their history is passed down verbally through folklore from generation to generation. Family connections are strong and dependable. Furthermore, the Moken language knows no words for individual possession which is reflected in a culture of sharing and giving. The Moken are animists and have great understanding and respect for their environment and natural resources. 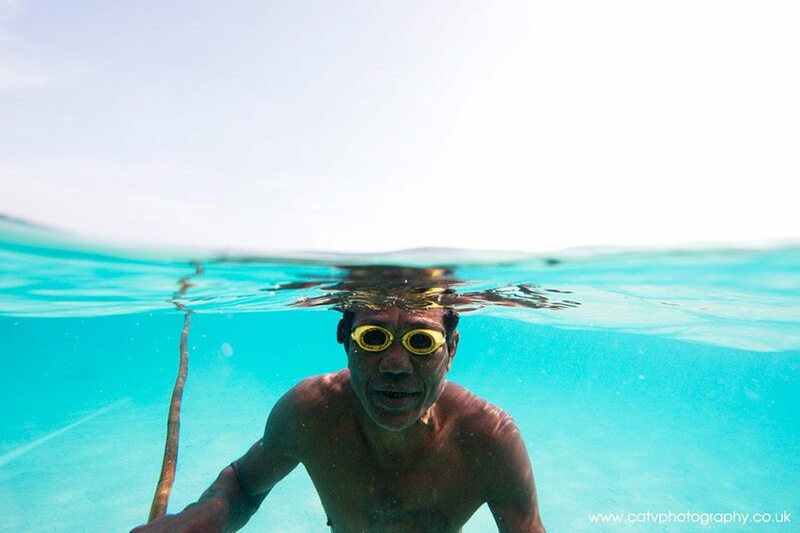 In past times, the Moken people were subsistence hunter-gathers, trading shells, sea cucumbers, and fish for rice and other necessities. They use over 80 plant species for food, 28 for medicinal purposes, and 105 for shelter, handicrafts and other purposes. 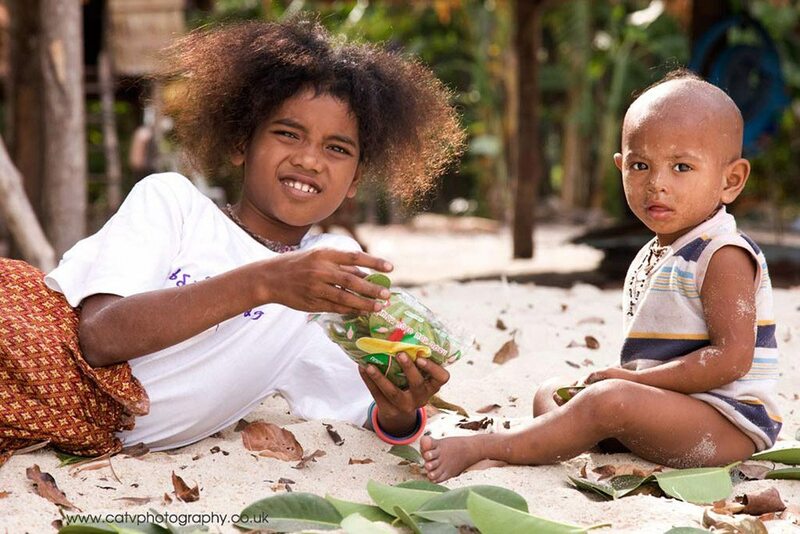 The Moken community of Bon Yai Bay on South Surin Island is perhaps the last settlement living in semi-traditional ways. 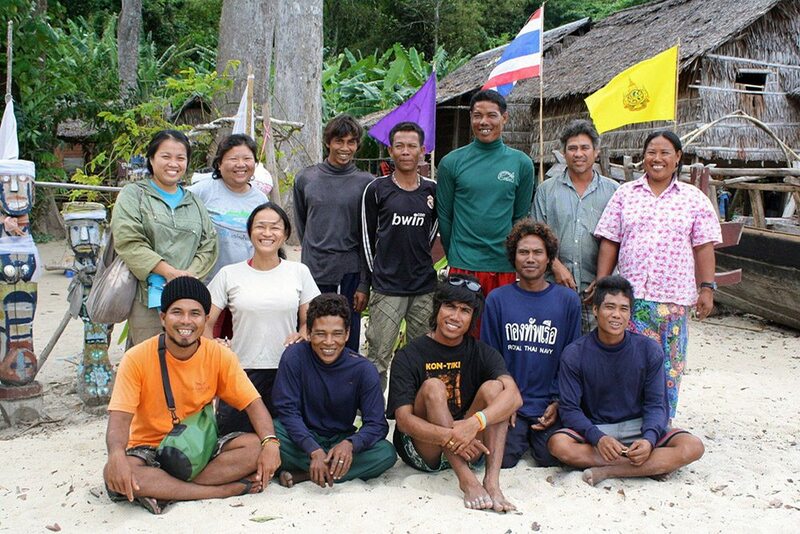 In 1981, the islands were established as Mu Koh Surin National Park, bringing profound changes to the Moken way of life. Restrictions were placed on their ability to hunt and gather from the reefs, beaches and the forest of their newly “protected” area, and movement between Thai and Burmese waters became increasingly dangerous. The tribe survived the tsunami of 2004 unscathed, garnering much attention from the outside world, and a sharp rise in the number of uninformed tourists visiting the Moken village. At the same time, authorities resettled the islands’ two villages into one combined settlement of 60 houses. This imposition disrupted traditional relationships and concentrated the effects of tourism. Recognizing the challenges and benefits of interacting with visitors, the village has formed a Moken Tourism Team. With this they aim to change the dynamic of visiting the Moken village from the uninvited onlooker to the respectful guest. Click here to find links for further information, books and media about the Moken people, their history and modern day struggle.